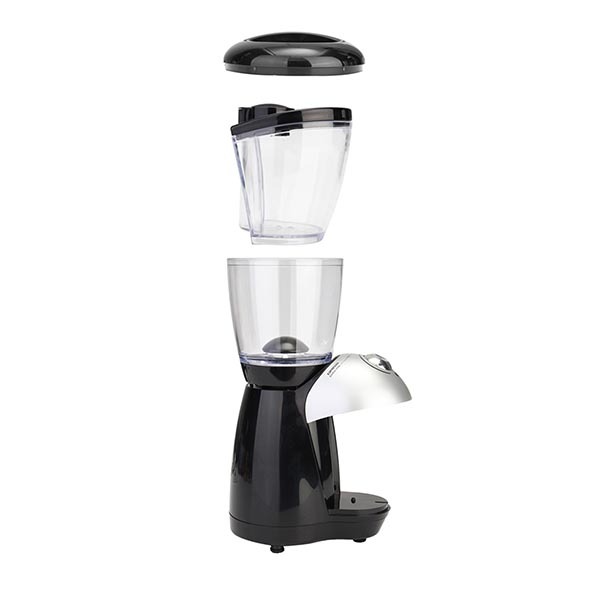 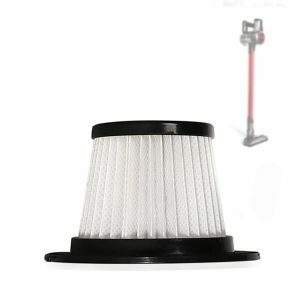 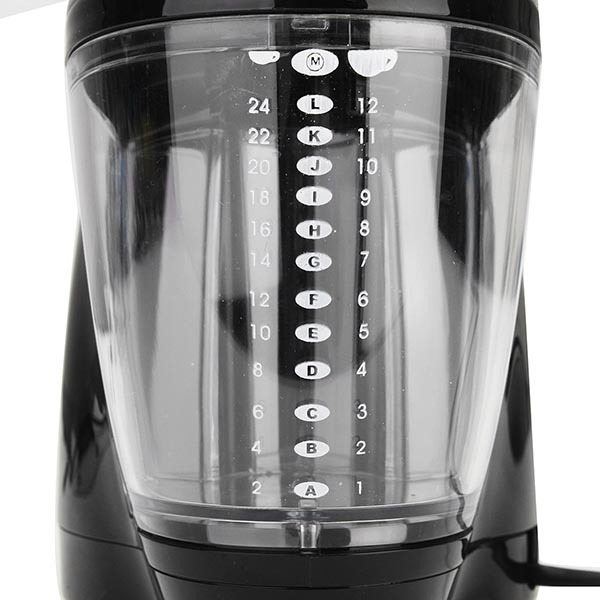 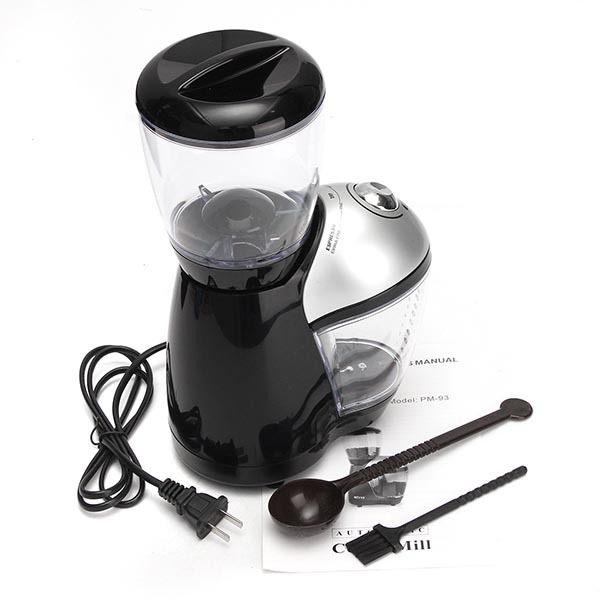 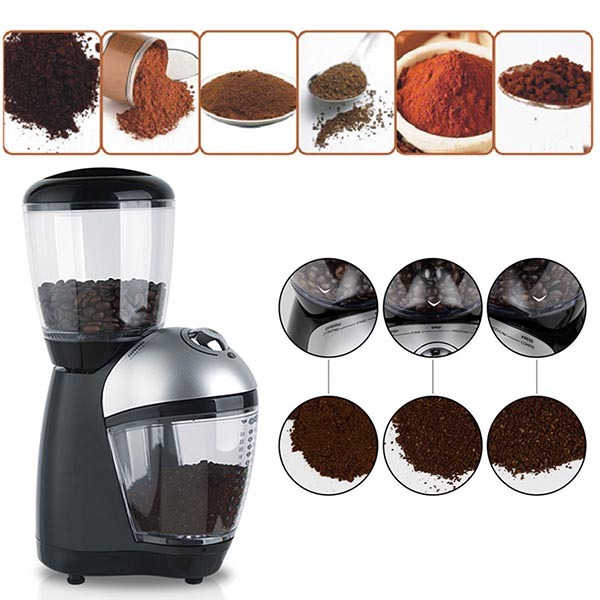 Easy-to-use Automatic Electric Coffee Bean Mill Grinder grinds the perfect amount at any time. 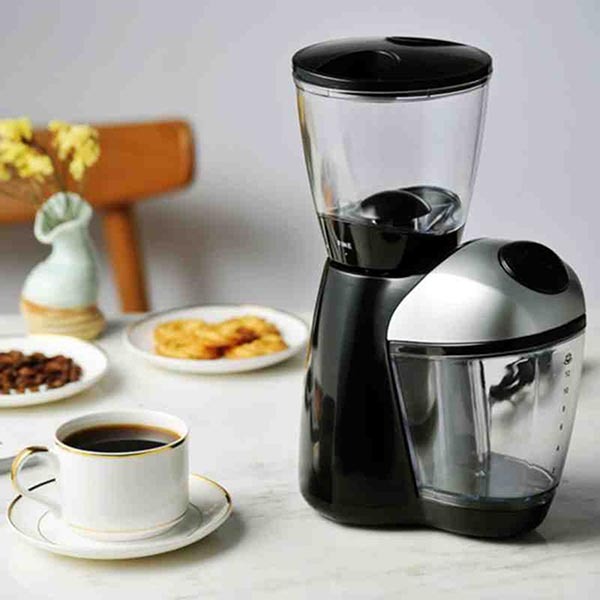 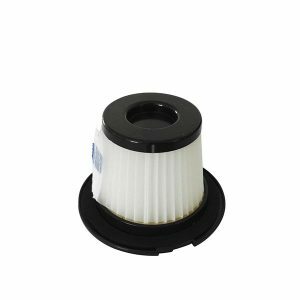 The Automatic Electric Coffee Bean Mill Grinder is easy to use. 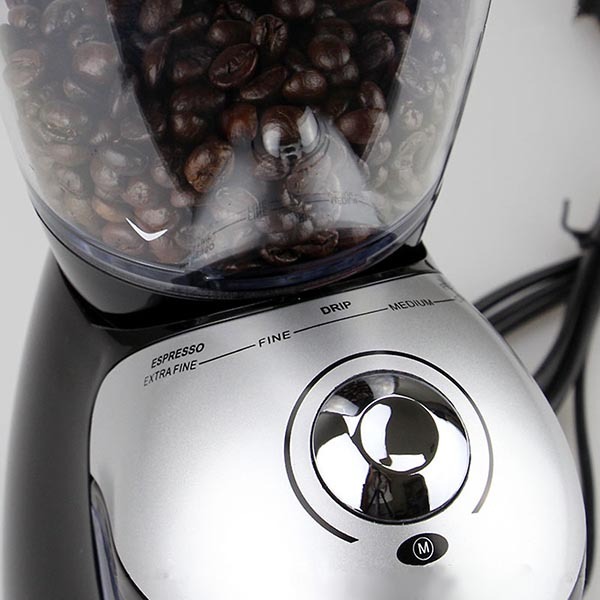 With just one click to open and one click to close, grinding the perfect amount is easy at any time. 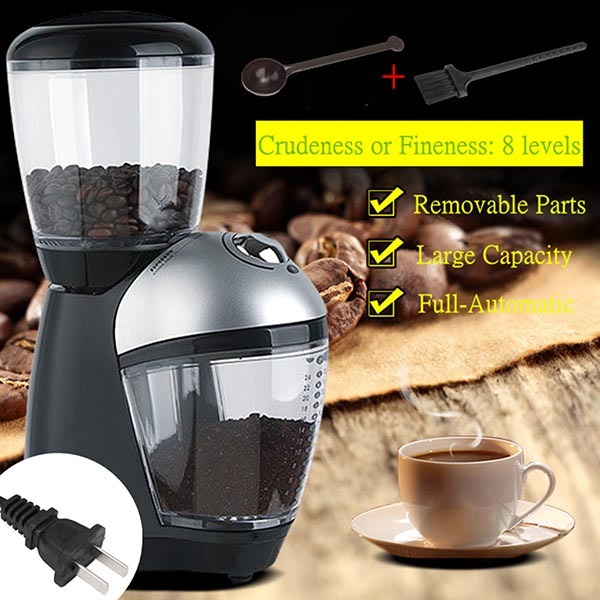 The coarseness of powder is adjustable simply by turning the rotatory switch; any of the eight levels adjusts the crudeness or fineness of the ground. 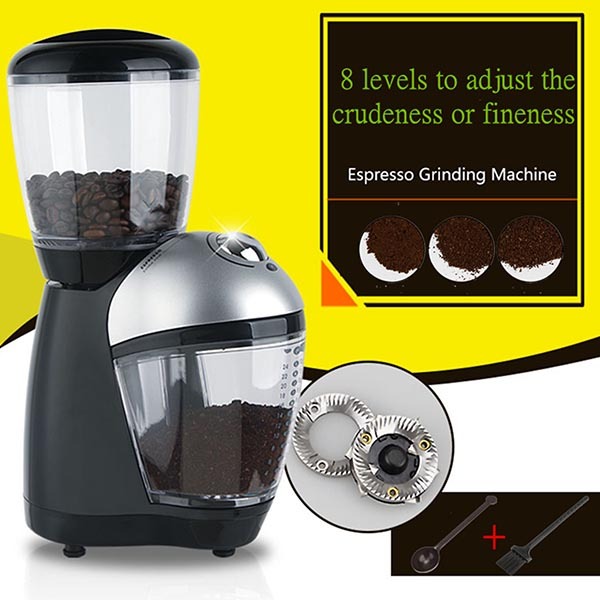 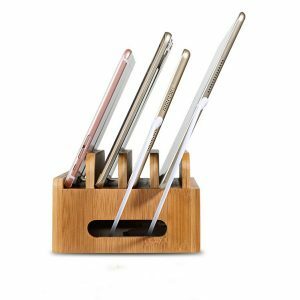 This kitchen tool is operated by a single, easy-to-control push button and the transparent design lets you see how finely you are grinding the contents. 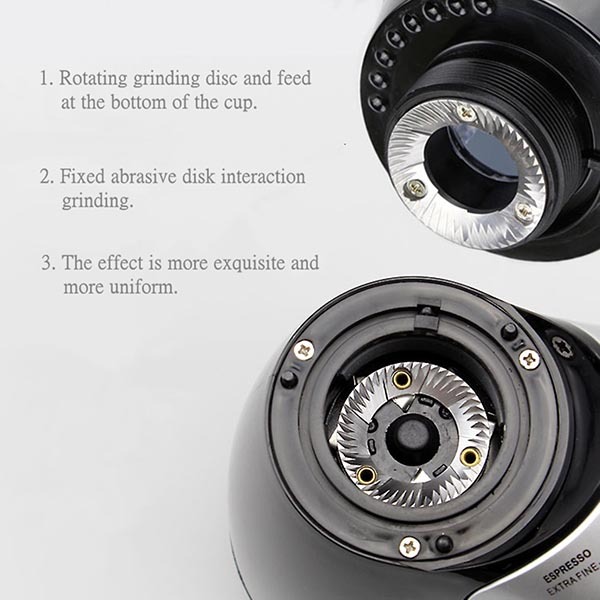 and more uniform than many of its counterparts. 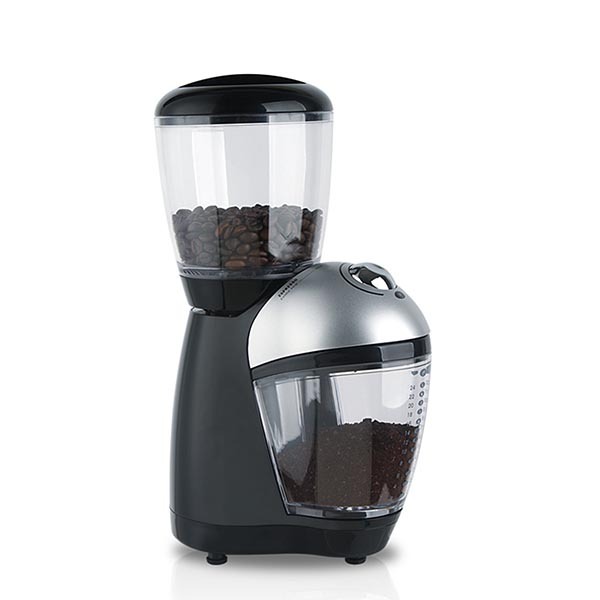 This Coffee Bean Mill Grinding Machine with removable parts is easy to clean and dishwasher safe.